We’re kicking off National Poetry Month with a performance like no other! 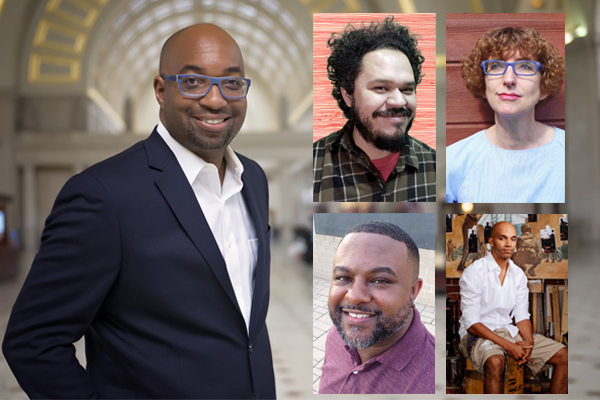 Kwame Alexander, author of the 2015 Newbery medal winner THE CROSSOVER, is coming to An Unlikely Story with the rockstar writers and illustrators of his new imprint, Versify. He will be joined by Kadir Nelson, Lamar Giles, Raul the Third, and Kip Wilson. Kwame will discuss his new book THE UNDEFEATED. Join us as we bring in April with some literary rockstars!